The mandible is an uneven bone forming the lower jaw. The mandible is closely connected with the skull, with which it articulates. 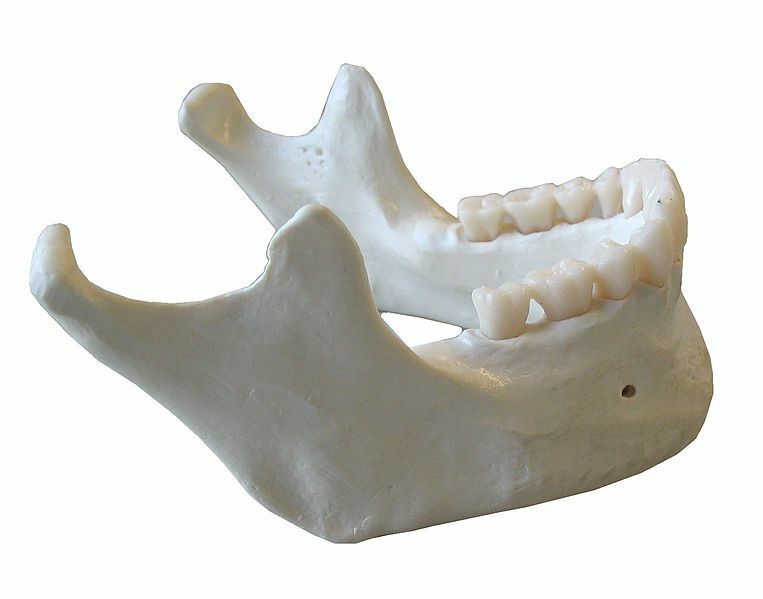 The mandible is formed from a body and two rami. The body is horse-shoe shaped and is used as a support for implantation of the lower teeth. The rami support the two temporo-mandibular joints with the temporal bones of the skull providing the mandible's mobility. Together with the maxilla, the mandible forms the two bones of the jaw. Its movement enables mastication, the first stage in the process of digesting foods.